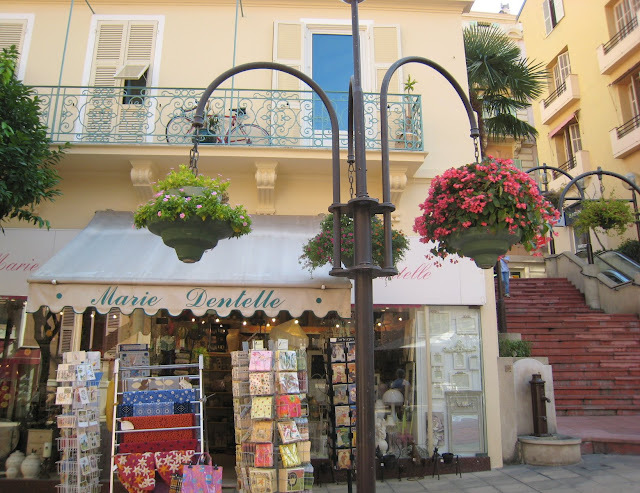 These hanging baskets are on the other side of rue Princesse Caroline to the ones you saw recently at THIS LINK. Both posts are lovely, Jilly. Part of it is because the lamps that hold them are quite showy themselves. What a lovely way to beautify a city - not that Monte Carlo needs any beautifying, mind you! What a lovely little boutique! Greetings from TORUŃ DAILY PHOTO here in Poland. Do pop in today as we have a special competition...about a donkey!!! There is a prize at stake! Flowers Lima will get you all your gift baskets to Peru I like these guys.